In addition to special events and classes that happen in and around Beacon, there are events that happen weekly, bi-weekly, and monthly. This guide is dedicated to regular gatherings for special interests and groups. Events must repeat on a weekly or monthly basis. Events must be something odd or unusual or really helpful. Sorry, events cannot include fitness classes even if they repeat. Unless they are something odd or unusual. Like hula hooping or flame throwing. Fitness classes can be listed in A Little Beacon Blog's Fitness section of the Business Directory! Players at any level welcome! Our group helps families navigate the issues that come with caring for a relative family member. Many of our caregivers are grandparents and haven’t raised children in some time. Besides the peer to peer support we help families work with DSS to get financial aid if they qualify. We also do intergenerational activities field trips and bring in guest speakers to talk about topics relevant to our groups. Learn to dance with hula hoops with Small Tribe Hoops. All levels of hoopers are welcome including first timers. Fee is $12. The Helen Savoit Daytime Book Club meets the second Tuesday of each month at 1:30. Read the book and then come and join in on a lively discussion. New members are always welcome! Join us on the first Tuesday of every month usually at Quinn’s in Beacon NY for a night of open drawing, interesting conversation, creative scheming, great music, and generally good people. 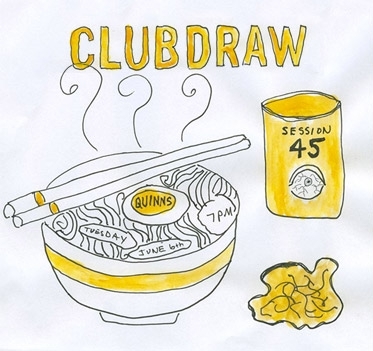 bring a sketchbook and a doodling utensil and get down with Club/Draw. Every Tuesday night and free to everyone! Come and play Dungeons and dragons in our game room. Open to beginners and teens. Bring a dish to share and set up at the picnic tables. Bring some extra plastic utensils, paper plates, napkins if you have them. Meet your neighbors, try new food, and enjoy! Let everyone know what you're bringing! Weather permitting. Location: Carriage House at St. Andrew’s Church in between the Tompkins Hose Fire Company and 17 South Avenue. This may be subject to change if the church is holding a function. On the first Wednesday of every month, Binnacle Books co-hosts a book club discussion with Denning’s Point Distillery. Attendees receive 10% off that month's book and $5 cocktails or beer at the meeting. Beginner April 10, 2019, bring your knitting or crocheting project. If you don't have a project we'll help you find one! Also offering a beginners knitting class if you want to learn. Our first knit night is April 10th. Call the store for more information. Thursday nights are craft night! Sewing, knitting, embroidery, whatever you've got, we want to see. We'll be open until 9—bring a snack, bring a project, bring a friend! Machines are available at $10 for the evening, make sure to reserve ahead of time. Middle and High School students can get together with others who love to play D & D or various card games from Magic to Yugioh every 1st Friday of the month. Just bring your cards and we'll provide the tables and snacks! New and classic board games also available to play. No registration needed. Join any time. Zine Club is open to middle school and high school students. Collaborate with other Beacon area teens to publish a zine for teens, by teens. The Zine Club will meet monthly to work on individual and collaborative zines. Members will participate in every step of the process from creation and editing to printing and distribution. Meeting topics will include new art and book making techniques as well as the occasional guest artist. The zines created by the group will become part of the collection of the library. There will also be opportunities to trade zines with other library zine clubs in the area and across the country. All supplies are provided; no experience necessary. Sign up for this special session by emailing Michelle at community@beaconlibrary.org. Each month, teens choose the anime to be shown from our current anime dvds or streaming from crunchyroll.com. Teens may bring their own Anime DVDs and favorite Manga books to share. Anime Club is open to students in Middle School and High School*. This program is free no registration required. *Parents please note some of the anime shown may be PG13 and TV14. For more information contact Michelle at community@beaconlibrary.org. Pokemon enthusiasts who are looking for other children to play with are welcome to gather in the children's room to play cards together between 3:30-5pm. Space is limited, but the library can accommodate a small group.This is an informal meetup and not a library sponsored program so adult supervision is necessary. The Memorial Building is for all veterans, There are three Veterans organization in the building. The American Legion, VFW, & Marine Corps League. Only the American Legion provides Bingo Fridays & Sundays in the Memorial Hall. Come play Magic the gathering card game in our game room! Open to beginners and kids! It's a fun logic and strategy card game which makes for a great after school activity and way to make new friends! The Greenhouse and Barn are open for visitors. Stop in to check out the plants, visits the lamps, and say 'hello' to their baby calf! Residents of Beacon, Glenham, Fishkill and Chelsea get free admission to Dia every Saturday & Sunday throughout the year. Hunt for furniture, records, tools, even a wooden cooler at Beacon's famous flea market. Every fair weather Sunday, check their Instagram if it's raining to see if it will be open. Enjoy produce and gift ideas from regular vendors, plus a rotation of more regular vendors on alternating Sundays. You'll get a variety of shopping and music each time you go down to the Farmers Market. Also occasionally includes kids events. Check A Little Beacon Blog's Kids Classes Guide for specific listings. Open rain or shine. Programs for children and families are offered every Sunday at 1 pm, starting in May and running through November. These hands-on experiences are created and led by artists, conservators, arts educators, and environmental educators. Participants of all ages are welcome in these drop-in workshops- no registration is required. Rumor has it that Beacon is full of writers, but due to the solitary nature of their work, few of them know one another. Its purpose is to build community around the lonely act of writing. Get Lit Beacon is an informal gathering that will take place at the Oak Vino Wine Bar (389 Main St.) on the second Sunday of every month. Published and aspiring writers alike can share their work or just hang out, have a drink, and socialize with a lit-friendly crowd. The monthly event is open to adult writers of all levels. Wanna be super awesome and sponsor this Guide to make the promotion of these events possible? Please see A Little Beacon Blog's Media Kit for the Guide Sponsor opportunity!